A “mean-spirited” budget proposal would cut key programs supporting farmworkers, ag communities, fresh-food access for low-income Americans, and pesticide safety. While the new White House “budget blueprint” is low on details, it’s clear that some of the biggest cuts could have a direct impact on the food we eat and the people who produce it. While almost every federal agency outside defense is targeted for large cuts, the Environmental Protection Agency (EPA), U.S. Department of Agriculture (USDA), and the Department of Labor (DOL)—the agencies that call many of the shots behind our food system—would be the hardest hit. “Regardless of who you voted for, no one voted for dirtier water, dirtier air, or less-safe food, and that’s exactly what we’ll be getting with the president’s budget,” said Colin O’Neil, Environmental Working Group’s director of agriculture policy. If enacted, these cuts “will have tremendous impacts on farm communities, children in rural communities and farm workers,” said Pesticide Action Network program and policy director Kristen Schafer. If the EPA is cut back by 31 percent, as the administration is calling for, it will further jeopardize health in rural agricultural communities that are already “on the front lines” for pesticide exposure, said Schafer. She explained that the cuts will also result in reduced monitoring for pesticide contamination, including in air around schools and in waterways. 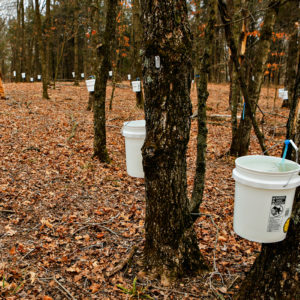 The proposed budget reduces research grants and entirely eliminates the EPA’s endocrine disruptor screening program, which began its actual testing work in 2009 by investigating the hormonal effects of 67 active pesticide ingredients, including those in the widely used pesticides atrazine, chlorpyrifos, 2,4-D, and glyphosate. “There are big public health challenges due to farm pollution,” said O’Neill, “but this budget eliminates many programs addressing these issues, including Chesapeake Bay and Great Lakes restoration.” San Francisco Bay and Puget Sound restoration programs are also slated for draconian cuts that would virtually eliminate federal funding for these efforts. The impacts would be felt not only in water quality, but also in impacts to local seafood—including Pacific salmon—and to rural agricultural communities and others that depend on the water that flows between farming regions and the coast. Combined with USDA program cuts, this is likely to adversely impact “rural small water systems that have a hard time competing for funding with big cities,” said Food and Water Watch assistant director Patty Lovera. The budget calls for 21 percent cuts to USDA funding, reducing funding for USDA research, eliminating the agency’s support for rural water infrastructure, reducing staffing in USDA Service Centers, and eliminating funding for the agency’s Rural Business and Cooperative Services. These cuts would also make it harder for farmers working to make the transition to organic agriculture, said Lovera—at a time of growing demand for organic food along with increasing evidence that heavy pesticide use may actually be undermining food security. Add a 21 percent cut in the Department of Labor budget, including a proposal to eliminate all of the Occupational Safety and Health Administration’s (OSHA) worker-training grants and many job-training programs, and the impacts to farmworkers and others in the food chain could be enormous, said Farmworker Justice executive director Bruce Goldstein. 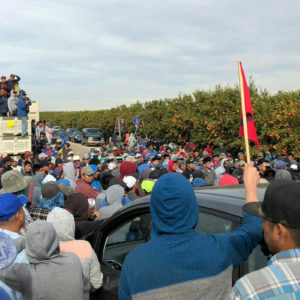 “That would interfere with the upgrading of skills and assistance in finding jobs for tens of thousands of farmworkers,” Goldstein explained. Cuts to DOL and OSHA would also hamper enforcement of labor violations, including wage theft, which is a widespread problem in agriculture, said Goldstein. “OSHA and DOL’s wage and hour division also work together to ensure that farm workers have drinking water and toilets in the fields,” he added. Cuts to these agencies could have immediate effects on farmworkers’ occupational health and safety. “This seems to be an effort to return us to the late 1800s,” said Goldstein. 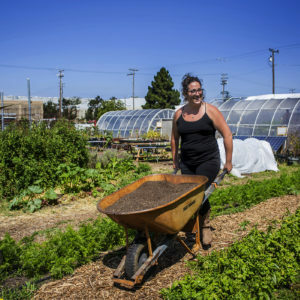 The Trump administration also wants to eliminate funding for the Community Development Block grant program that helps fund local food programs across the country. 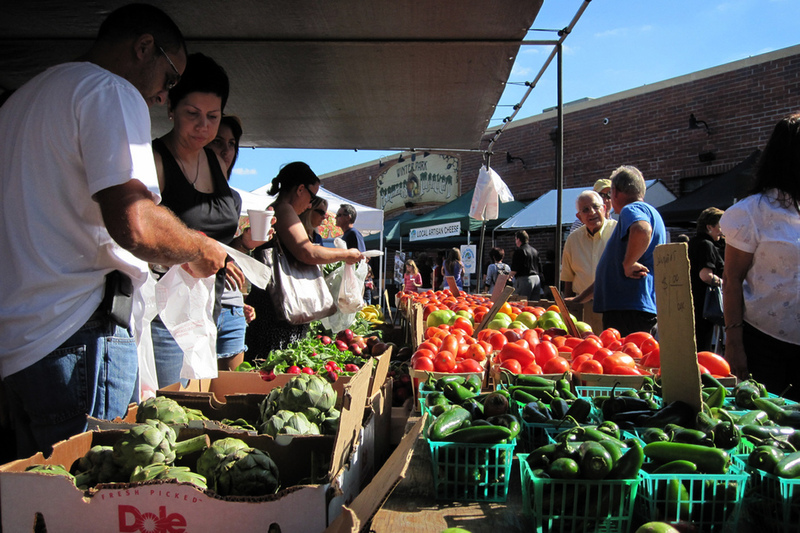 These grants are key to supporting efforts like mobile farmers’ markets and others that provide fresh, local food access for low-income consumers. These programs, said EWG’s O’Neil, also make it easier for farmers to market their produce to local eaters. The impacts to our food safety programs are still unclear, but expected cuts to HHS—which funds the Food and Drug Administration and Centers for Disease Control and Prevention (CDC)—would take a toll on these programs. The FDA is responsible for the bulk of U.S. consumer food safety and the CDC “is critical to food safety, given the role they play in monitoring [contamination] outbreaks,” explained Jim O’Hara, Center for Science in the Public Interest (CSPI) health promotion policy director. The only saving grace in all this, said Food and Water Watch’s Lovera, “is that it’s not a done deal,” But, “as a glimpse into the way the priorities are being set, it’s pretty terrifying,” she adds. The full White House budget is expected in May. That’s when negotiations with Congress toward an actual spending plan will begin. And there’s already bipartisan opposition to elimination of key programs including Great Lakes restoration, the Chesapeake Bay cleanup, the Legal Services Corporation and programs that support rural and low-income communities. Given the axe it takes to such programs, “It’s clear the budget is dead on arrival,” said O’Hara. Nevertheless this “blueprint”—which, as Oxfam’s Sinclair said, deals “a body blow to America’s food system”—will be the starting point. Why should the agriculture be cut? Are we supposed to eat the crumbs from the White House? Better to eat plastic? How else can we function as a country if we do not even have the physical strength to stand because we are too weak? Are you joining the opposing country in comparison to killing us off? Please reconsider what could be lessened other than our individual health. To take away our food protection and regulations and to put millions at risk especially our children (our future), to bring down the farmers who work hard to feed millions of people rich and poor, is appalling. Donald wants to kill off who he doesn't like and have a world of rich people, its so obvious, but what he is going to do is start a war right here in the USA. The young folk is already mad at this world and this is truly not going to help. This is making America Great again?, Ha. We are in troubled times with this president! Food is the the lifeblood of the human race. Local farming is the health and voice that we are making changes for the grander scheme of things. Hopefully we can turn the tide of the reactionary mindset that is present and move on to better days.